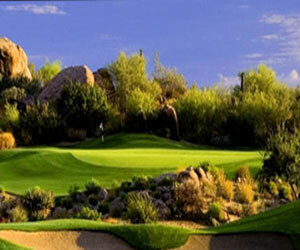 Set against the spectacular visage of the McDowell Mountains, the Scottsdale Marriott at McDowell Mountains brings all-suite, resort-style luxury to the next level in the plush Arizona golf resort scene. Next to the TPC Scottsdale golf courses, this Mediterranean-themed resort is a spectacular destination for weekend getaways, golf vacations, families, or anyone looking to indulge themselves in true desert luxury. The spacious rooms come replete with all the amenities a traveler can hope for, while offering the recreational options they demand. Amenities on-site include a heated pool, hot tub and fitness center. Enjoy dining and cocktails at the Zambra Grille and Agave Bar. For those looking for outdoor activity, hiking, biking, golf and more dot the surrounding landscape. Located just minutes from beautiful Scottsdale, guests will find themselves surrounded in peaceful seclusion while a short drive away from all the shopping, night life and other activities the vibrant city has to offer. Perfect for business meetings, the Scottsdale Marriot at McDowell Mountains has a versatile 15,000 square feet of meeting space available.